Hi friends. 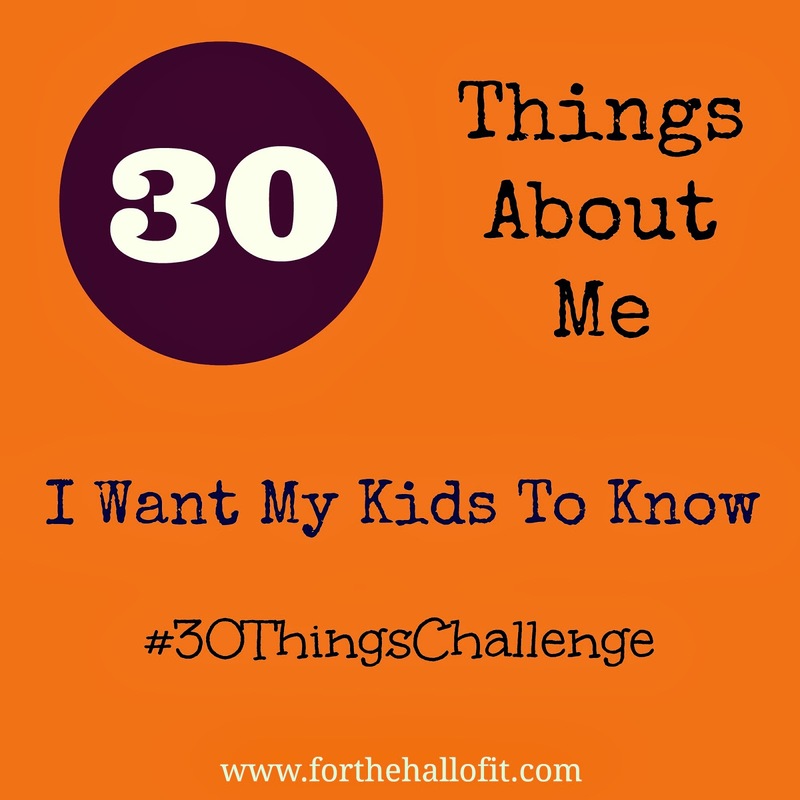 Given my blogging rut, my blog friend Heather suggested I join her in a link up she's doing called "30 Things About Me I Want My Kids to Know". There are 30 questions and I will devote a blog post to each one eventually linking them all back up to this post. I may only do one a week or I may be motivated and do a few. Who knows. But I'm sure that Sawyer will be reading this blog one day so maybe he'll learn a thing or two about good ol' mom. Describe when you knew your spouse was the one or how I fell in love. Describe 5 and weaknesses strengths you have. YAY!!!! Now get writing... :) Although they are a little harder than I thought they would be... and incorporating asking my kids what they think first is equally challenging... ;) Can't wait to see what you come up with!